A little Utah-based startup company named HzO offers an incredible product waterproofs gadgets without the need of a case or any add-on. HzO is said to be in talks with Apple and Samsung about incorporating its WaterBlock waterproofing technology in future devices, such as the iPhone 5. The incredible technology was demoed at CES 2012 and got a lot of exposure with great feedback. 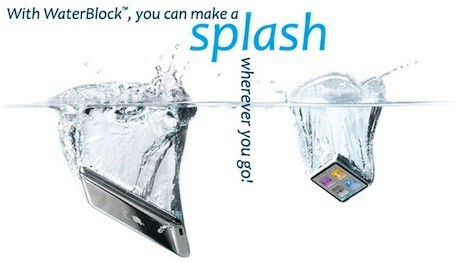 The WaterBlock technology uses a safe, non-toxic organic material that doesn’t add any weight to a device. Check out the video below, which shows how the technology works.